You must complete the Part 2 Skills Testing with an authorized AHA Instructor to receive your certification ecard. 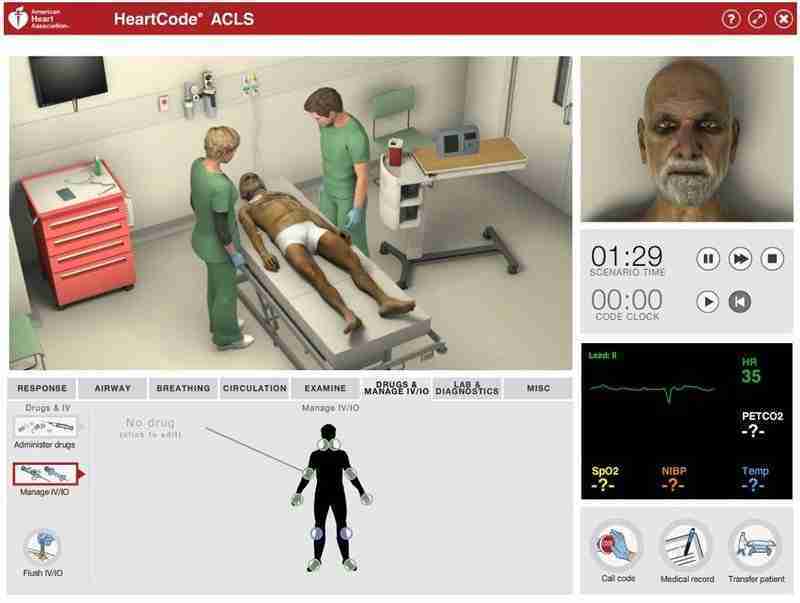 The American Heart Association Heartcode ACLS online course has been updated to reflect new science in the 2015 AHA Guidelines for CPR and ECC. This course builds on the foundation of lifesaving BLS skills, emphasizing the importance of continuous, high-quality CPR. This advanced course highlights the importance of high-performance team dynamics and communication, systems of care, recognition and intervention of cardiopulmonary arrest, immediate post-cardiac arrest, acute dysrhythmia, stroke, and acute coronary syndromes. What happens when the computer work is completed? When all parts of the computer-based work are successfully completed, the student will then request the course completion certificate and continuing education certificate. Print Certificate that confirms course/exam completion. Skills testing and card issuance will need to be done by an AHA Instructor of your choice. How do I get my ACLS card? 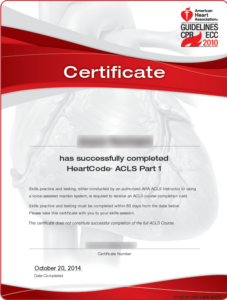 You will need to have an American Heart Association™ ACLS instructor complete the skills check off and issue your AHA course card.